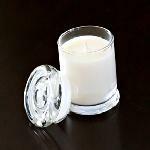 Pacific Coast Candles (aka SoyCandles.org) specializes in wholesale soy candles, custom private labeling and personalized scents for individuals, businesses, weddings, favors, birthdays, and corporate events. 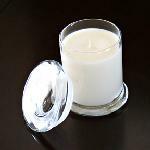 Let us know how we may assist with your soy candle needs. 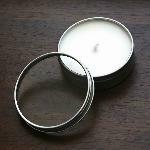 Exceptional 100% soy candles, quality and selection are provided; and, we'd be happy to accommodate your special candle order requests. As a soy candle manufacturer in California, we are proud to support American Farmers and offer products that do not contain genetically modified (GM) material. Great care is taken in every soy candle we create. Only non-toxic and sustainable, recyclable and/or reusable materials are used in our products. 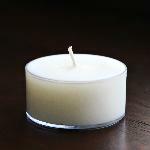 Soy candles are an all-natural, biodegradable, and environmentally friendly resource. 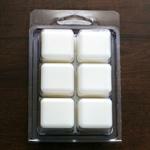 Soy candles burn cleaner, safer, longer and better than other waxes. Spills clean up easily with soap and water. 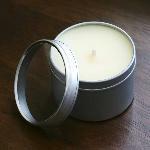 Eco-smart candles for all your candle needs! We take pride in our journey through life, to continually work at making the world a better place, to enjoy the beauty around us; and, remember that it's the little things that matter. We practice being good to others and advocate for non-profits that make a positive difference in the lives of people, pets and our planet. For more information, please email info@soycandles.org or call us at 831.345.8860. Our 100% soy candles do not contain genetically modified (GM) material and are great to use for massage. Once the candle melts, extinguish the flame, dip your finger into the melting pool and use as desired for beautiful, soft skin. You will be amazed and impressed with the results! After you have finished enjoying the life of the candle, you may wash the container with soap and water to reuse/recycle it. * Are 100% vegetable, made with Pure Soybean oil, GUARANTEED! * Contain NO Genetically Modified Material. * Considered GRAS (Generally Regarded As Safe) under the Food, Drug and Cosmetic Act. 100% Soy 3oz Mini and 12.25oz Status Jars, for size comparison. After soy candles are finished burning, these jars are excellent to re-use.